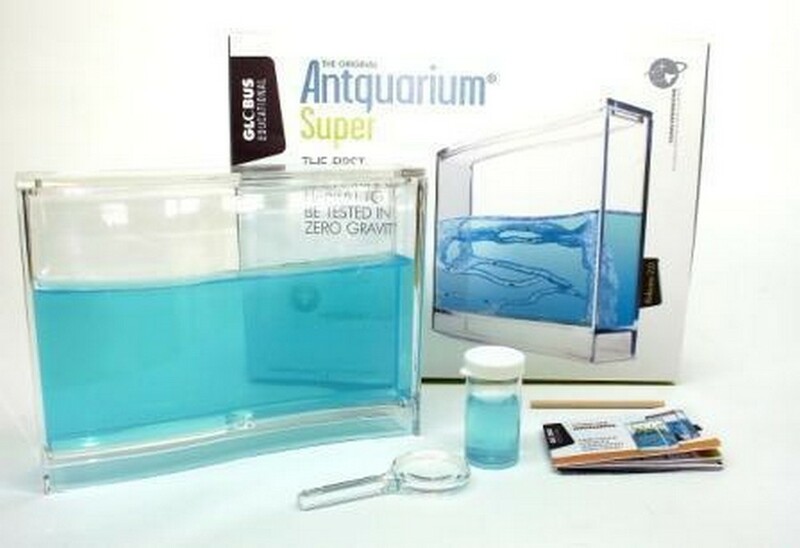 The Antquarium is a great feature for your home to give you an insight into the secret life of ants. Many of us are unaware of the complex tunneling these little creatures perform, as much of it is underground; but with the Antquarium, you can watch their actions and movements as a colony as their underground behaviour is carried out in the observable tank through the gel. Once you open the box, you’ll see you have everything you need to begin collecting your ants and setting up your Antquarium. The simple to follow instructions will get you started in no time. Make sure you collect ants from a single colony, as if you mix, the ants are likely to fight each other.